Electronic boards, touch panels, robots instead of teachers - such way 30 years ago science fiction writers imagined a school of the XXI century. Now this is reality. 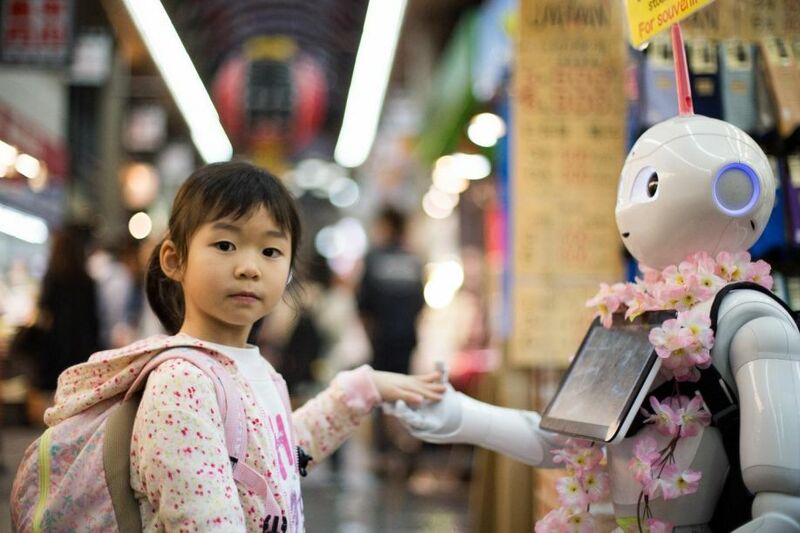 Robots become an integral part of the education system. They begin to teach, participate in educational games and even make presentations. Why do schools need them? Depending on the purpose, robots can perform different roles in the school. Severe injuries or their consequences, immunity glitches and other serious ailments prevent many children from attending school on a par with peers. Robots-intermediaries were created especially for them. The most striking example - the robot VGo for Remote Students, the development of the American company VGo. Its staff takes care of the student Lyndon Bati from Knox City in Texas (USA). Because of illness, he cannot go to school. The "BatyBot", as the robot is called at school, do this instead of him. In the mornings, Lyndon at home sits at the computer and turns on his "remote friend". It locates in the classrooms and performs the boy's commands at a distance during the day translates what is happening, moves, organizes communication with the class and teachers, even goes with everyone for dinner. the possibility of interactive learning. Children-autists are very confused and distracted from the learning process because of facial expressions and non-verbal signals of others. Therefore, robots with their unchanging appearance are ideal mentors for them. The world famous Nao was developed by the French company Aldebaran Robotics (the project was launched in 2004). 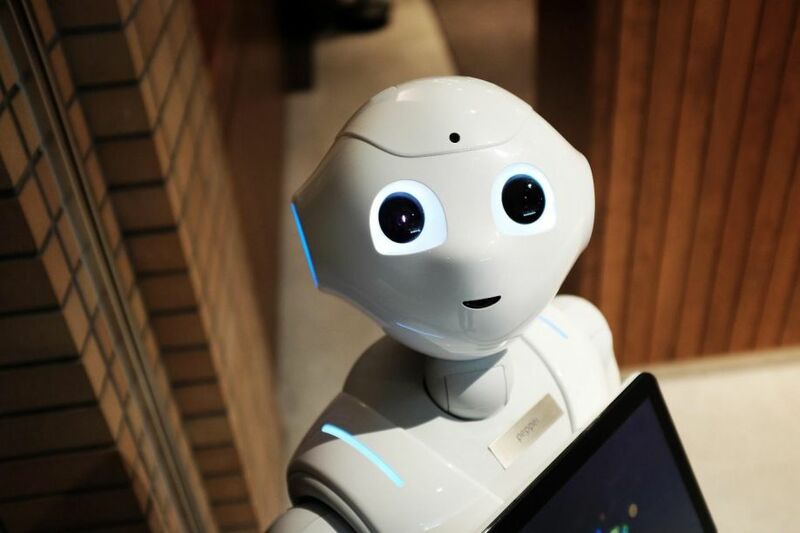 Since 2008, an educational humanoid robot is used in universities, institutes, and laboratories. Nao has 2 video cameras and a speech recognition function. Therefore, it perfectly helps children with autism to study many subjects. For example, younger schoolchildren learned to identify different types of animals, while elder ones learned reading skills. Analogue Nao - experimental robot-android Asimo Japanese Corporation Honda. He recognizes sounds, gestures, faces, objects, and also communicates, works with the Internet. In England, a similar robot named Kaspar was developed at the University of Hartfordshire. 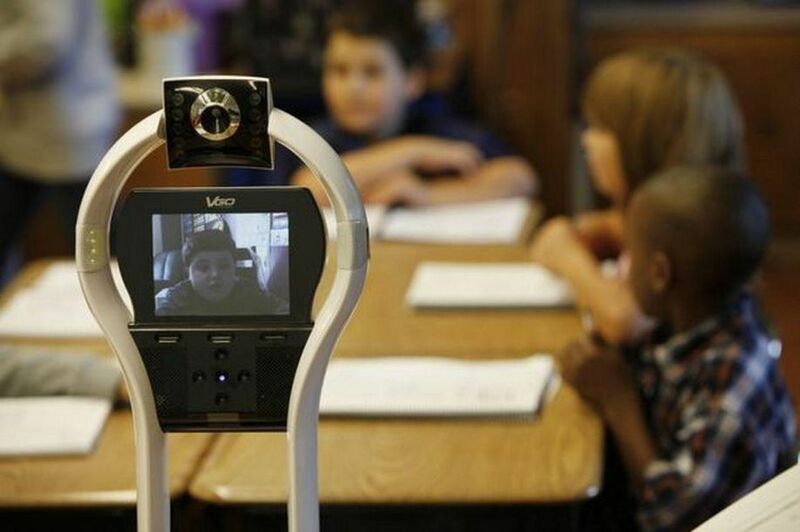 With the help of telepresence robots, teachers can teach a lesson from anywhere. The robots are in classrooms. Their cameras and sensors are the eyes and ears of the teacher. The signal (speech and image) is broadcast to tablets, smartphones, and laptops of students or to a large monitor. This makes telepresence robots comfortable for distance learning. The most active in robotics in education is South Korea. There is a program in the country, the purpose of which is the introduction of robots into every kindergarten. Robosem of Yujin Robot is very popular at schools. This telepresence robot allows a remote teacher to teach English. In some cases, Robosem can cope without a human and train children on its own. the robot "replaces" the teacher- human. These robots are produced massively, both in finished form and for assembly (designer). Affordable, simple to handle, they won the love of many children and teachers. Manufacturers gave a chance to all those who wish to become developers - to assemble the robot with their own hands and program it. At the same time, students can learn the basics of robotics and just play. One of the most popular is the tiny robot Edison of the Australian company Microbric. The goal of the developers was to make him an amusing assistant for computer science teachers. And it happened. Create the robot from the constructor and to program it can even children aged 9 years and older. Edison can communicate with its electronic counterparts. 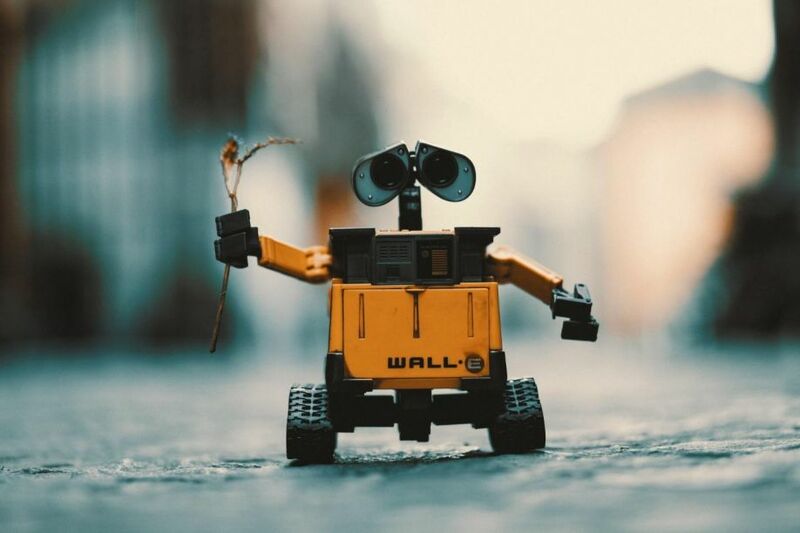 It is easy to connect to robots and toys of the company LEGO. low price (from 10 dollars). short working time (about an hour on batteries). Learning and education have always been considered the most conservative aspects of life because it was the area where traditions and skills were preserved, knowledge and experience were transferred. Today such a situation is questioned and revisioned, that is why robots come to school and other children's institutions. They are important means for understanding the world, which is changing on our eyes. Richard D. Eddington is specialist in Tuition Agency in Singapore. Writing is his hobby. In addition, he has a wide range of interests so he likes to share personal experience, researches, and thoughts.